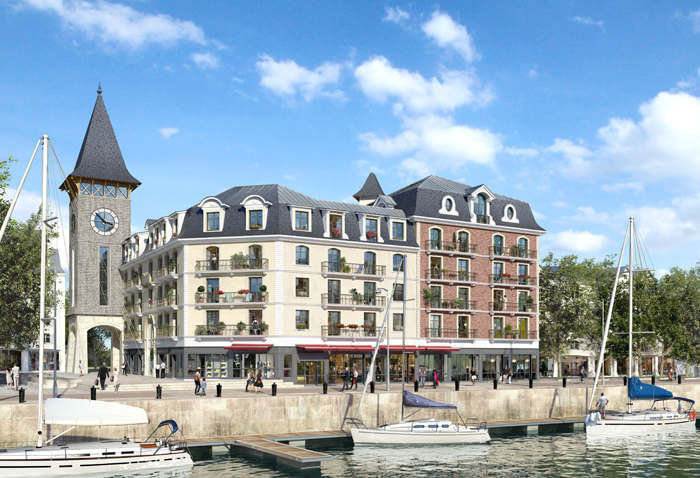 Brief: Project for the construction of a bell tower with 4 clocks, on the Touque Peninsula, near Deauville. 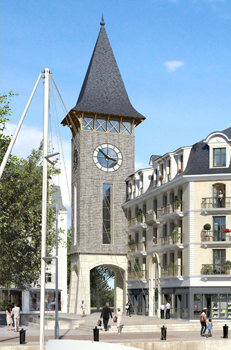 Project details: to marry high quality apartments and monumental clocks in the same bell tower. the reinforced double glazed panels to be equipped with Active Glass on the circular panels, with LED lights which are synchronised with the movements of the hands at night. The centre of the glass panels to be in obscure glass to ensure the privacy of those living in the apartments.